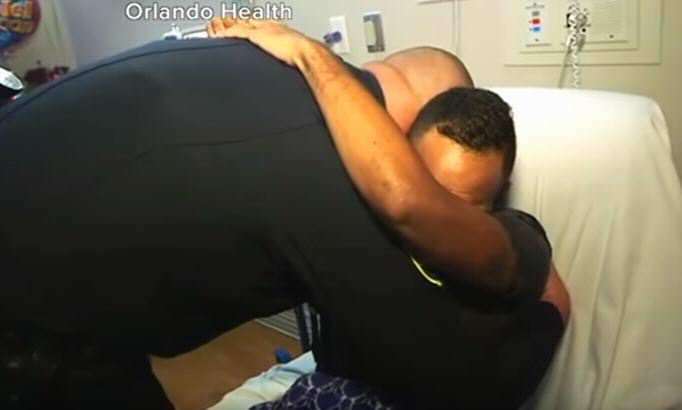 This was the emotional moment that an Orlando shooting victim, Angel Colon, was reunited with the police officer who helped save his life. In the aftermath of this horrifying atrocity – which claimed the lives of 49 innocent people at Pulse nightclub – this is a genuinely nice moment among a wave of awful news. 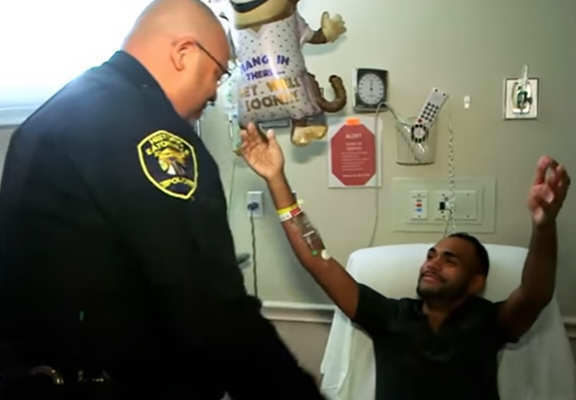 Omar Mateen shot Colon three times and left him for dead on Sunday morning, but the 26-year-old managed to escape after Eatonville police officer, Omar Delgado, pulled him to safety. My name is Officer Omar Delgado. I’m one of the ones that helped you get out of harm’s way. I need a big hug from you, man. 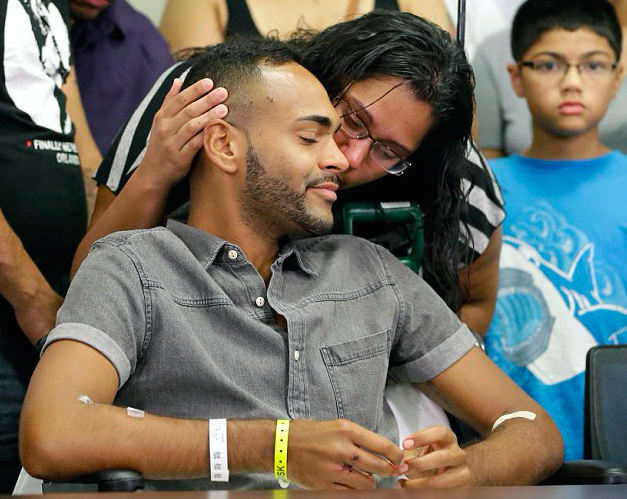 At a press conference earlier this week, Angel recalled the moment he was forced to play dead as the gunman shot the bodies laying around him. “By the glory God, he shoots towards my head but it hits my hand. Then he shoots me again and it hits the side of my hip”, he said. We wish Angel a speedy recovery.